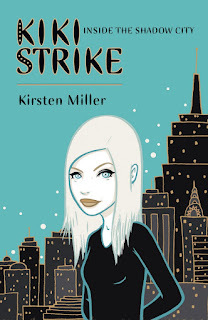 Ananka's Diary: Kiki Strike Out in Paperback! Thought you should know! Soon, I'll be posting the cover of the next Kiki Strike adventure: The Empress's Tomb, which will be available in September. I've seen the second book and it is amazing. I couldn't stop laughing in crazed happiness. OMG! Where did you find it? Hi I look forward to reding your up coming book. Your other book was awsome I couldnt put it down!! i read the second one already!it's as good as the first!but now i must ask the million dollar Q:will it become a trology?